Freshwater Terkh Tsagaan Lake is located near Khorgo Crater in Tariat Soum of Arkhangai Province (aimag). 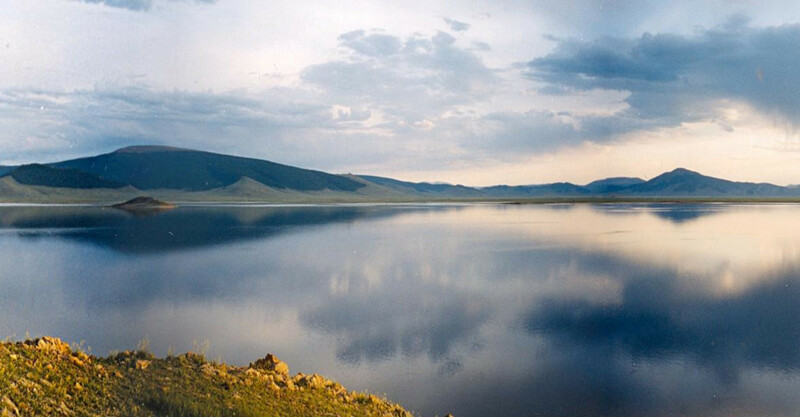 The lake originates from the Khangai Mountain Range in the north and the Terkh River to the south. Rare birds make their nests here and breed on a small island in the middle of the lake. Black geese come to the lake regularly and feed on fish that live 5 meters deep. The lakes head piles into Khorgo's national park. Over 10 rivers flow to this lake, making it one of the biggest in the province.